When Obama came into office, he announced that he was “resetting” America’s relationship with Russia. Sure enough, he then canceled the planned defensive missiles in Poland aimed at deterring a Russian invasion. That infuriated our Polish allies and pleased the Russians. He got nothing from the Russians in return that we know of. Vladimir Putin was then the Russian prime minister, and Dmitri Medvedev was the Russian president. Putin was the boss, and Medvedev was his handpicked puppet. Later, Obama spoke at a seminar with Medvedev, who speaks English. Putin was not there. But the microphone was not off. The exchange was captured and recorded. And the pair also were captured by a distant video camera showing Obama warmly shaking the hand of Medvedev and patting Medvedev’s knee as they completed the exchange. Ask yourself this: Why did Obama choose an awkward in-person exchange on a stage at a seminar for delivery of this important message? Why didn’t he simply pick up the phone in the Oval Office and call Putin directly? Could it be because he didn’t want any Americans to hear it — even White House aides and interpreters? Fast forward another two years. Russia has invaded a sovereign nation, Ukraine, and has purported to annex part of it. Obama’s response so far has been to impose “sanctions” that are so trivial that the Russians have literally laughed at them. In contrast to Putin’s poker face, Obama — without being told Putin’s next move insofar as we know — has ruled out military options. In short, Putin has refused to rule out annexing additional sovereign nations, and Obama has refused to guarantee that he’ll stop him. In dealing with Americans, on the other hand, he shows less flexibility, gives few “resets” and most decidedly leads from the front. The White House uses the National Security Agency to spy on Americans, uses the IRS to target Americans with whom it disagrees politically, refuses to rescue American diplomats begging for help as they’re slaughtered in Benghazi, calls the American political party that freed the slaves “hostage takers” and, most recently, uses the CIA to conduct surveillance on American senators (according to the longtime Democratic senator who heads the Senate Foreign Relations Committee). One more thing: That seminar — the one where Obama made his fateful promise to the Russians that in his defense of freedom and liberty he would be flexible — was in South Korea, just a few hundred miles from Manchuria. This entry was posted in Uncategorized and tagged birther, Kenya birth, Manchurian, Obama, open mike, Ukraine by onthebeatontrack. Bookmark the permalink. 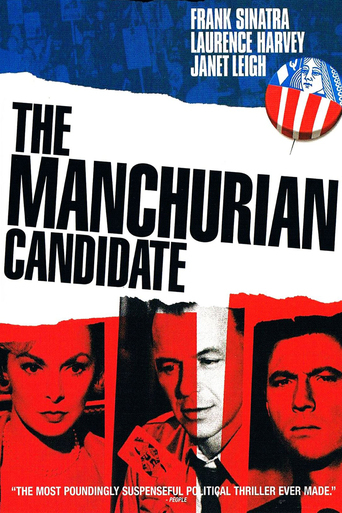 Pingback: Is Obama a Manchurian? ?